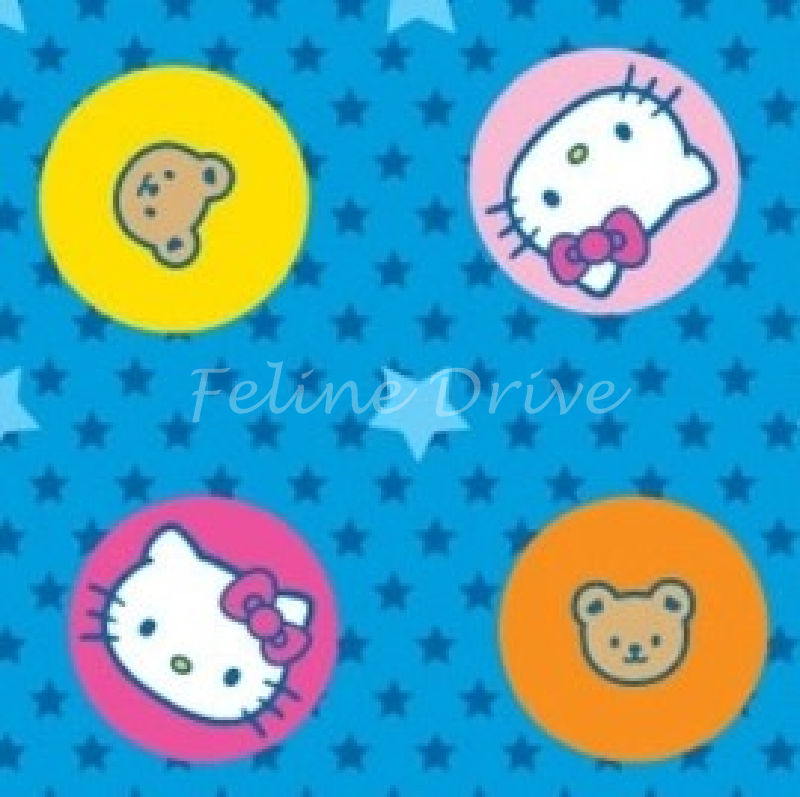 Hello Kitty is a fictional character produced by the Japanese company Sanrio. She is now known throughout the world! 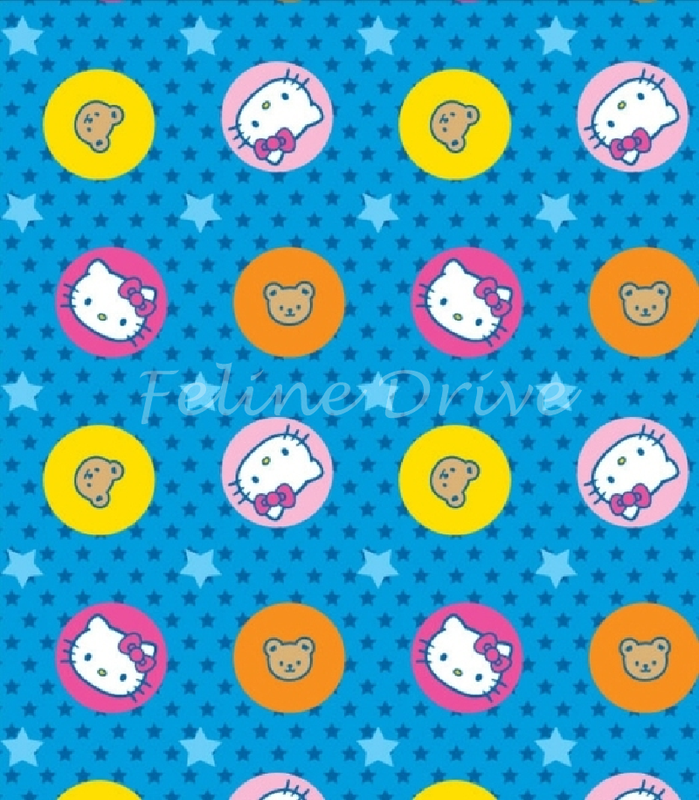 This fabric features Hello Kitty and cute bear faces in circles on a blue background with stars. Print Size:Circles are approximately 3/4" across.